Tracking sheet template is used for record keeping purposes. This can be found anywhere and useful for any topics or details needed to monitor. The template for tracking is a guide that makes us aware of how easy and accurate it can provide when it comes to tracking of history and status.The examples presented in tracking sheet online are free to download in your desired and preferred format type. These examples can be modified if one wish to utilize it for personal or business purpose or it can be a reference for creating a similar tracking.You can also see Goal Tracking Samples. 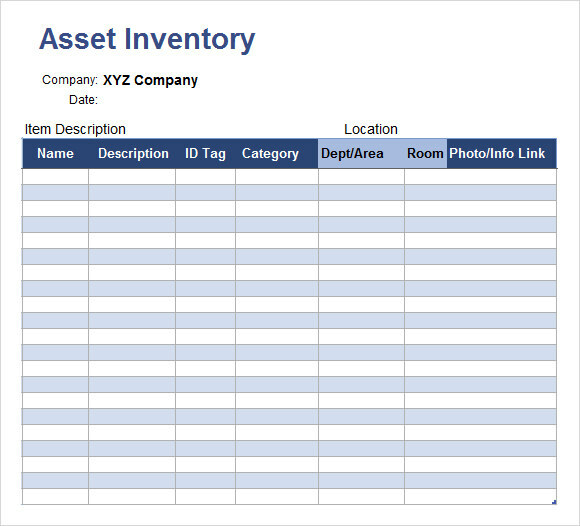 This template is particularly helpful to keep a track of the assets own by any company or organization. This simple template can be made with help of Word or Excel tool available in your PC and laptop. This template comes with a table having a number of columns to let you know about the item description and its location. The Item Description column has headings like Name of The Item, Description, ID Tag and Category. The Location column comes with sub-categories like Department/Area, Room and Photo/Info Link. 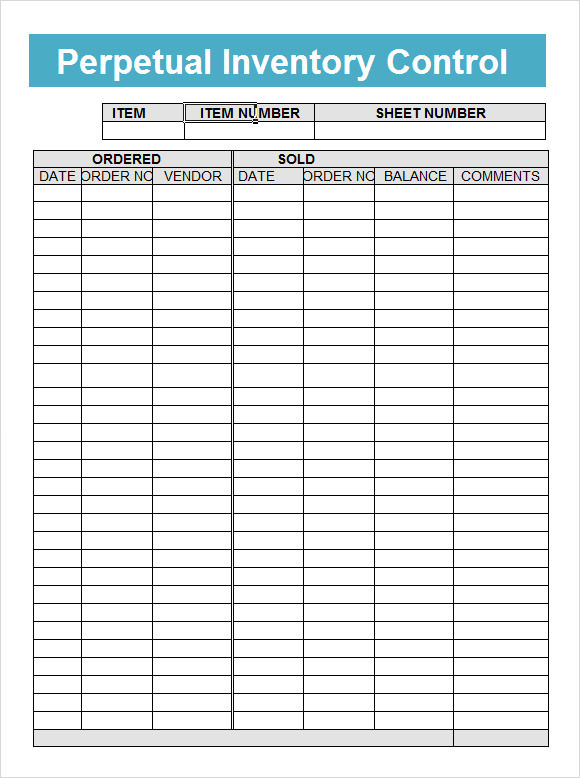 This simple Excel sheet template gives you a fair idea on the items ordered and sold along with the details. It comes with space for Item, Item Number and Sheet Number. The first column is reserved for Order Details including Date, Order Number and Vendor Name. The second column contains information on Selling Date, Order Number, Balance and Comments. 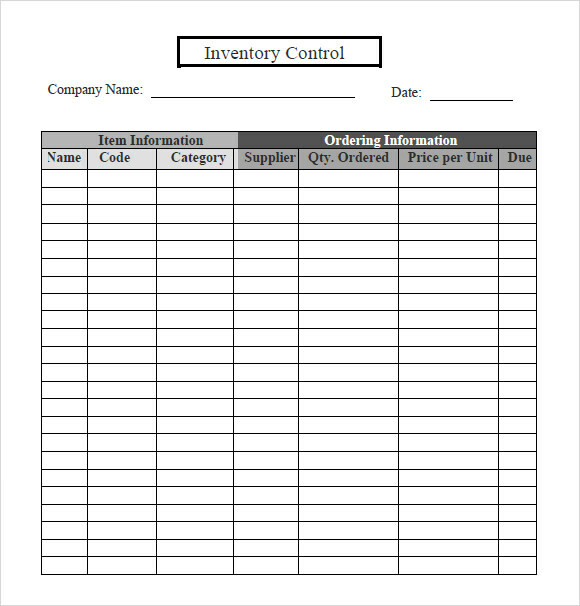 This is another simple template to track down item and ordering information. The sheet must show the company name and date at top of the table. The template comes with two primary columns like Item Information and Ordering Information consisting of few sub-categories. Item Information column deals with Item Name, Item Code and Category. The Ordering Information column gives details on Supplier, Quantity Ordered, Price Per Unit and Due. What Are The Benefits of Tracking Template? 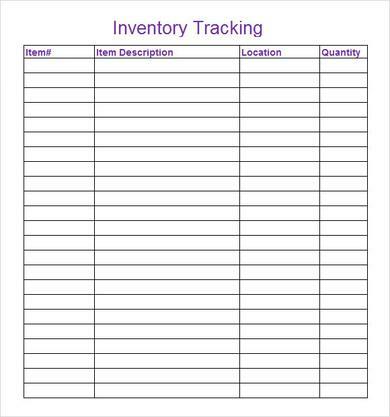 Who Does Need Inventory Tracking Templates? 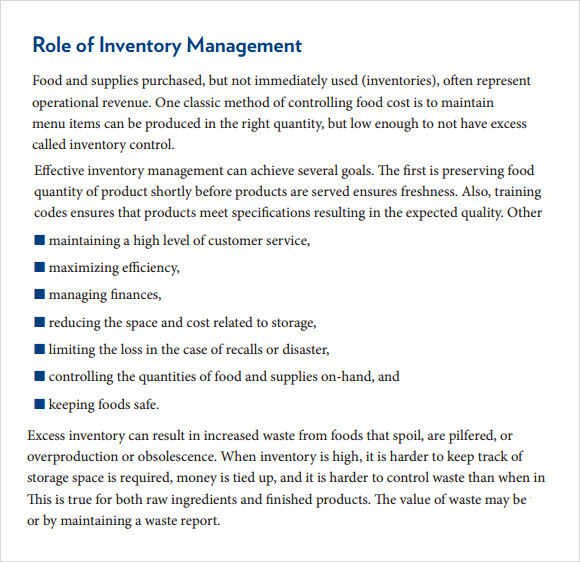 Anyone who is involved in some business must follow the inventory tracking template. It is used for record keeping purpose. These kinds of templates are very useful in tracking down the details of any item or any topics instantly without wasting any time. It makes operation easy and smooth for any company or business house. 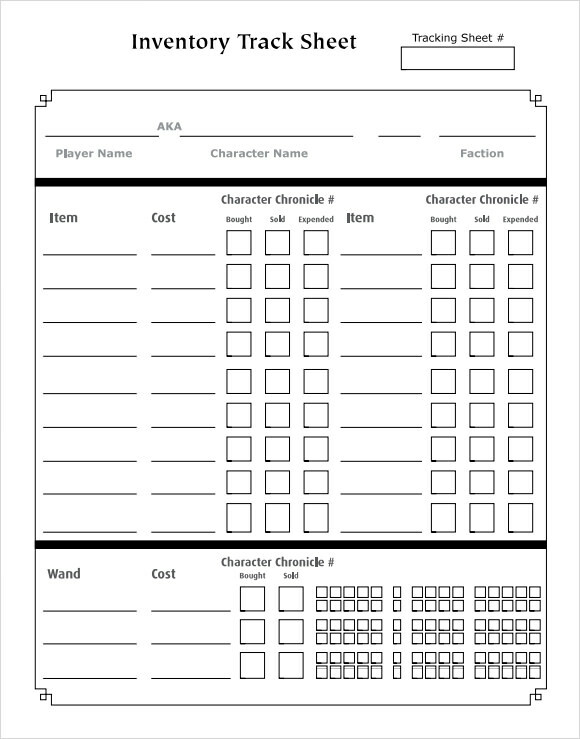 How To Make Inventory Tracking Sheet? When you are planning to design a tracking template for yourself, first you have to know which format will cater your requirement. If you want some clues, then surf internet where free inventory tracking templates are available. If you find any of these online templates perfect to serve your purpose then you can also download the template direct on your PC or laptop without spending anything. You can make modifications on the sample template to design a customized tracking sheet. With tracking templates, you can save huge amount of effort and time to track down any item and its details. So give your business a lift with tracking templates.You can also see Time Tracking Templates.